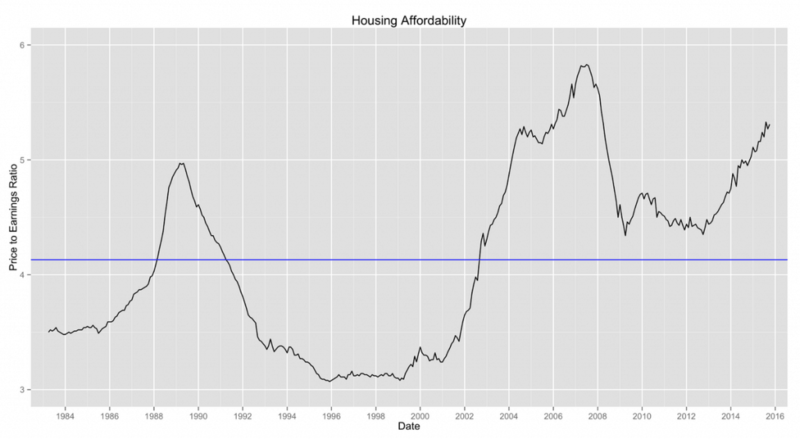 The housing crisis is an opportunity for the left. “A Britain that works for everyone.” This is what Britain’s Conservatives say they want to achieve under the new prime minister, Theresa May. Partly, of course, this talk is meant as an attempt to divert attention from the difficult choices implied by Brexit. But there is an issue that is slowly coming to dominate the life-chances of “everyone”, and could be even more important than Brexit: housing. 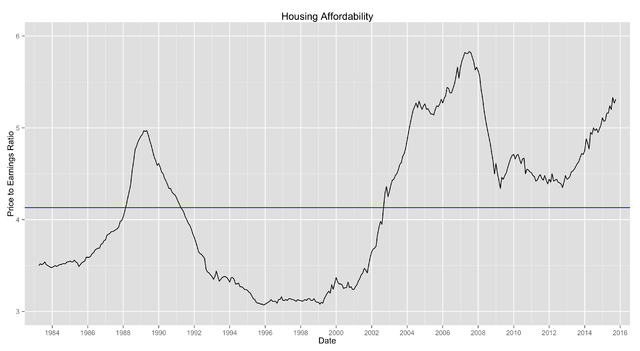 Or to give this a bit more precision: the high cost of buying or renting residential property. In order to fulfil their slogan, the Tories will have to make progress on this. Will they? What brought this home to me last week was a report that people born in the 1990s (the so-called millennials) are worse off than those born in the 1980s at the same time in their lives. This is startling for a society that has, generally speaking, benefited from economic growth over the last 30 years, and where educational standards are rising. And the reason is easy to see: compared to people born even ten years earlier, many fewer millennials can afford to buy their own homes. They are unable to benefit from a general rise in property prices that has proceeded apace over that 30 years. Meanwhile rental costs have gone up too, which only makes the gap wider. This phenomenon does not just apply to Britain’s overheated southeast – it afflicts most major urban centres, to say nothing of popular university cities like Oxford and Cambridge. Why is this such a big issue? The millennials themselves are not particularly important electorally, especially as so many of them show little interest in the political process. But their troubles worry their parents. And the trend is evident from before the millennial generation. More importantly, the generations following the millennials will be equally deprived. The numbers of property have-nots are growing, and property wealth is being concentrated into a smaller number of hands. High rents is a cause of hardship for ever increasing numbers of people – and a cause of rising homelessness, with all the other problems that brings in its wake. Politicians are increasingly aware of this. Conservative leaders are talking the talk. Mrs May has appointed a new cabinet level minister of housing, Sajid Javid, who talks of a moral crisis. All leading politicians talk grandly of building many more houses. But there are two political problems, which are linked. The first is that the crisis arises from a profound failure of market incentives. And the second is that any policy that actually works is going to hurt a lot of politically influential people. This combination presents a test for Mrs May that she is unlikely to pass. It is one of the few decent opening in British politics for the left. First consider market forces. Read The Economist and you might think that the housing problem is quite simple at heart. It is a failure of supply to meet the increased demand for housing from a rising population and changes to lifestyle that mean more people want to live alone. And there is a ready culprit for this: restrictive planning laws and NIMBYs who resist new housing developments, which between them surround our cities with over-protected green belts. This glib explanation contains some truth, but it misses two awkward points: much land where development is permitted is not being developed because owners would rather wait – “land banking”; and loose monetary policy has pushed up the cost of housing regardless of supply and demand. Consider the first point. Property developers profit massively from increasing property prices. Indeed, it is central to their business model. They like to build cheap houses to maximise their profits from land trading, fighting furiously any regulations that might make homes more thermally efficient, for example. It is not in their interests to increase supply to levels where the value of property starts to come down. For all their moaning, they are quite happy with the situation as it is – though they would love to get their hands on green belt land with permission to build, and bank that too. A similar logic applies to rental values, since so many new properties are bought to let. The economic incentives do not point to the private sector solving this problem by themselves. In fact many private sector actors are likely to oppose any policy that actually bites, since that means cutting rental and sale values. The effects of monetary policy are less understood: by this I mean the way governments and their central bankers have had no real qualms about rising levels of debt used to finance private house purchases. This has been happening since monetary policy was let off the leash by the collapse of the Bretton Woods system of fixed exchange rates in 1970. The extra monetary demand for housing set off by this increased availability of finance has not been matched by an increased supply of housing. Indeed it is about this time housebuilding slowed down. Easy money has simply led to the inflation of land prices. We should expect to see house prices rising in line with earnings, given its relatively limited supply. We can see that the ratio of prices is tied closely to monetary conditions. Monetary conditions were loose in the late 1980s (the Lawson boom), but had to be tightened as inflation started to get out of hand. That caused a crash that is seared into the memory of older Tory politicians – the years of negative equity. Then things eased, with the mid to late 1990s and early 2000s being years of easy money. The financial crash of 2008 tightened things up, but now conditions are loose again. Of course easy money and land-banking are self-reinforcing. If property prices dip, property developers can be confident that monetary conditions will ease and come to their rescue. If I am right about these two problems lying behind Britain’s housing crisis, the solution is quite easy to see. First there needs to be a massive public-sector house building programme, including a large proportion of good-quality social housing, available at rents well below the current market level. This is best done by local and regional authorities, and financed by allowing them to borrow much more. This would put downward pressure on rents, which is perhaps the most urgent aspect of the housing crisis. It would also make it much easier to tackle homelessness. The second thing that needs to be done is to tighten monetary policy. This may be by using some form of quantitative control on housing debt, but it may also mean raising interest rates. The main idea would be to encourage banks to finance local authority housebuilding, rather than private mortgages. This will require political courage, as it means, for a time at least, property prices falling without making property more affordable (since it will be harder to get finance) – as happened briefly after the crash of 2008/09. The good news is that the first of these two groups of policy is fast becoming consensus on the left – sweeping in Labour, the Greens and the Liberal Democrats. And yet it will be very hard for the Conservatives to stomach. They associate social housing with left-wing voters. It may also upset NIMBYs where the estates are to be built, to say nothing of hordes of people who have invested in property to let – all natural Tories. Tory politicians talk freely of raising large sums of money to push house construction forward. But I have not heard any talk of giving a serious boost to social or public sector housing, or giving local authorities more freedom. It sounds horribly like subsidies for the private sector that will end up by inflating prices and developers’ wallets further. On the second issue – reducing the volume of private housing finance – I see little sign from anywhere in the political spectrum of this being taken up. This is unsurprising. It would mark a profound change in economic management, which is heavily based on monetary policy. And change would cause outrage in Middle England, attached to its property values. And yet the current way speaks danger. It is increasingly dependent on ever increasing property prices, as these lose touch with incomes. It is a bubble that will surely burst at some point. Even so, I am sure that the left is closer to this policy change than the right. 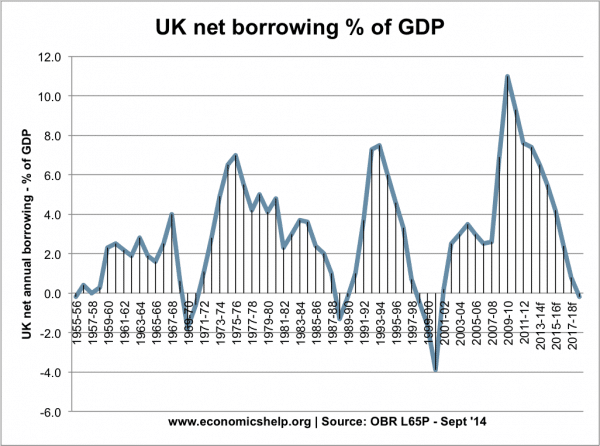 One implication is that more of the load of economic management will be taken by fiscal rather than monetary policy. The left is much more comfortable with that, though I suspect few have taken on that it means supporting austerity at the top of the economic cycle. Mrs May talks much of making life better for the hard-pressed in our society. Lower rents are surely by far the best way to achieve that. Does she and her party have the stomach for it? If not, the left will have its chance. You are right that the main reason for the UK’s high house prices is lax monetary policy. Interest rates are far too low. Australia has exactly the same problem which might strike anyone as odd considering the low population and large areas of land on the continent. House prices in Germany and Holland are much more reasonable by comparison and yet they have refugees and other immigrants wanting to settle there too. So immigration, and which is much more tightly controlled in Australia, can’t be the real reason for high house prices. So in Australia and the UK we have a bubble. Over time the price of houses in Germany and the UK must converge. Relatively lower house prices in the UK are what is going to have to come about for any government to make the “progress” you seek. This is going to present a problem for anyone who has recently bought. They are going to be virtually bankrupted if prices fall by, say, 40%. Or we can allow inflation to whittle away at the problem for us. So either way – big problems! There is no reason why a floating exchange rate has to be accompanied with loose monetary policy. Governments are simply shifting the debt required to service the Current Account Deficit from the Public to the Private sector. Interest rates are now so low that they can’t go any lower. So what is next? Negative intertest rates and the abolition of cash? I don’t believe the public will stand for that. So it has to be back to fiscal policy to regulate demand in the economy. The exchange rate can still be allowed to float. There is now simply no alternative. Firstly if there was much less reliance on monetary policy there wouldn’t be anywhere near the same swing between bust and boom in the economy. The boom happens when everyone is borrowing too much and its hardly possible to walk into a bank without them trying to persuade you to borrow more money. The bust sets it when the debts build up and the borrowing stops. So there should just be some fine tuning needed to keep inflation under control and and the economy working close to full capacity. The sort of policy we had from the end of WW2 to Mrs Thatcher’s election. We didn’t have booms and busts then. Classic Keynesianism in other words. This fell in disfavour because of the inflation problem which occurred in the 70’s. But when you look at the very low levels of unemployment in the 60’s and 70’s (typically 2 or 3% at most) it wasn’t surprising we had too much inflation. I’d happily quit a job without bothering to find another one. If I fancied a few months not working I’d just take off on my bike and not worry at all about future employment prospects. House prices and rents were affordable too – even in London. So there’s a lot to be said for the type of mixed economy we had then. Yes there were problems which needed fixing but I’m afraid we threw out the baby with bathwater when Mrs Thatcher ditched all that in favour of tight monetarism. I think I agree! German house price discrepancy also has to do with a very different property tax regime as well as conservative monetary policies. The French market seems closer to ours. And as for Spain… We have something to learn from Germany there. I don’t think that a floating currency necessarily means loose monetary policy, though I have to see I have not yet thought the issue through – free movement of capital certainly complicates the picture – I have a feeling that some form of capital controls will be needed. There is also the argument that a free floating currency undermines fiscal policy in an open economy (part of the Mundell-Fleming model). But I think that boils down to harmonising monetary and fiscal policy. My feeling is that the 1970s model was as deeply flawed as our current one is, and that the regime that replaced it was better, for a while at least (though Mrs Thatcher’s insouciance towards the collapse of industry is hard to take). Unemployment was low in 1970, when Bretton Woods broke down, but we soon had a situation when we both had high inflation and high unemployment – stagflation. The left were urging more stimulus due to the unemployment, Callaghan and Healey became convinced that this wouldn’t work. Government finances could not cope and we called in the IMF. Part of the problem was that the government had simply lost control of government finances, largely because the nationalised industries were out of control, using their political heft to justify continuing losses and dire productivity. We don’t have that problem now! Another big difference (in my view – I haven’t anybody else argue this) is that consumer and labour prices are very sensitive to world markets, and so it is much harder for consumer inflation to take off. Instead when an economy overheats we get higher asset prices (including homes) and trade imbalances. This still seems to be a bit of a blind spot with policymakers, and makes the top part of the business cycle hard to detect. There were good things about the 1970s – the availability of social housing for one – but I remember it as being overwhelmingly bad, except for a lucky few. Yes this is the popular interpretation of what went wrong. But an alternative explanation is that the Government panicked when they should have held their nerve. In 1976 the pound fell below $2. The Labour leadership at the time were far too hung up on the regime of fixed exchange rates and hadn’t adjusted properly to the, then, new idea of the pound being a fully floating non-convertible currency. They should have just let it go. Trying to artificially prop up the pound’s value just enriches the speculators as the Black Wednesday debacle showed in 1992. The Thatcher government got it right in 1985 though. They didn’t panic when the pound fell to almost parity with the dollar. Life went on and the pound recovered. Hardly anyone remembers that now whereas they do remember the IMF crisis. Interesting thought. The floating currency regime was new so it would not be surprising if governments were not handling it with confidence. However, compared to 1985 government finances were not in a good place in 1976 – deficit of about 6%, compared to a small surplus in 1985. Also inflation was a big problem. More reason to fear the bond markets and the threat of hyperinflation. Britain was looking distinctly Latin American at that point. The government may have had reason to fear an inflationary spiral. “A small surplus in 1985” ?? No I don’t think so. You really should check these statements out before you post them up ! But I do have to admit it was a slightly lower deficit than 1975! Incidentally this graph was drawn about 2012. The years following have a f after them. f for Fantasy maybe? Oh dear! Sorry about that. I was referring to a House of Commons briefing paper but the years were not clearly marked on the x-axis and I was 2-3 years out! Too hasty. The surplus was more like 88/89. And was generated by the Lawson credit induced boom of the late 80’s. So what followed afterwards? The bust of the early 90’s. We also had a surplus in about 1970 followed by the bust afterwards. Then also the surplus at around the millenium followed by the Dotcom bust and later the GFC of 2008. So do surpluses cause busts? Not always because they don’t in Germany for example. But for net importers like the UK and the USA they must. The surplus is simply an indication that the private sector is doing the borrowing necessary to fund the Current Account Deficit and and it is that excess borrowing which leads to the bust to follow.